we're Kristin and Tim Gibson, high school sweethearts, husband and wife for life and wedding photographer tag team for 5 years. so yea, we're basically always together. They’re the one thing that what will keep the memories of your big day alive, long after that big day’s gone by. From your first kiss as an official couple to the delicious dinner (and to-die-for triple-layer chocolate cake), we know you want to capture every.little.detail. And we? Well, we just want to make the process of capturing all those details as easy, simple and fun as possible. Listen: We believe marriage (and engagement) is something to be celebrated–not stressed about. With us by your side (literally), you can kiss that photo sesh stress goodbye (and maybe even some of the pre-wedding jitters). isn’t just about the quality of the camera in someone’s hand. It’s also about the people behind it–and how they work to bring out the best in you through your photos. – You feel comfortable with us. We really value getting to know our couples and that means both of you. From how you met to what you love about each other to all your weird little quirks and fave things–we wanna know. So that by the time your big day rolls around, you don’t think of us as strangers. – You feel comfortable in front of the camera. We know not everyone loves to strike a pose, so if you’re a little camera shy, don’t sweat it. We do everything we can to put our clients at ease and make sure every shot looks real, authentic and awesome (obviously). – You don’t have to worry about a thing. You’re busy people, and you’re especially busy leading up to (and on) your wedding day. That’s why we take care of all things photography for you– from planning your engagement session down to the last detail to designing your engagement and wedding album so you don’t even have to think about it. When you work with us, it’s all done and done, so you can have fun. So, to sum it up? 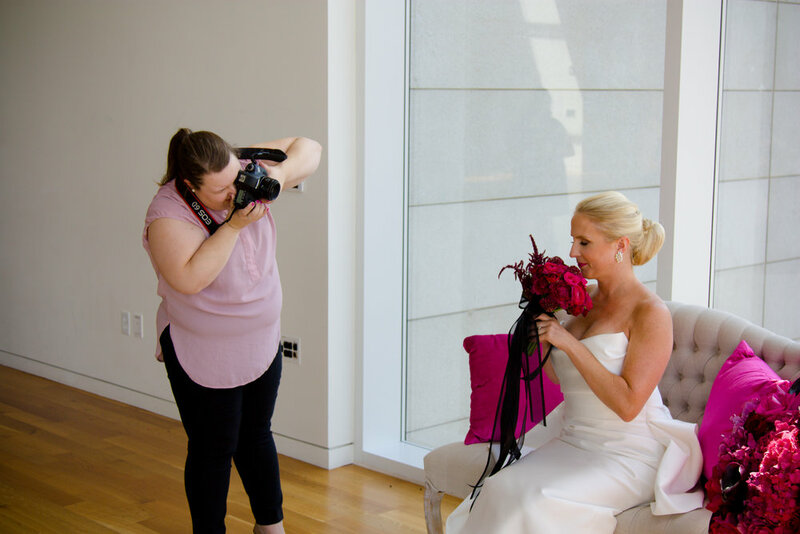 We bring our experience and expertise in all things weddings to your special day to ensure you look perfect, feel amazing and love your photos for years to come. We were young and in love, but basically broke. And as for our own photos? We just hit up a friend to shoot both our engagement and our wedding, in a super traditional, run-of-the-mill, totally-not-us kinda way. Ten years later, we know exactly how much more valuable those photos become over time. Don't get us wrong: We love our wedding photos and they help us remember our wedding day fondly, but they just weren't us. So yeah, we’ve been there and done that. And we want the exact opposite for our clients. Your engagement and wedding photos are definitely the most amazing photos you’ll ever take in your life. And we believe everyone deserves to have their own unique style captured on camera, so they can enjoy their ‘big day’ and happily relive this once-in-a-lifetime experience, over and over again. We’ll bring the vision, passion and an eye for style. All you’ve gotta do is bring the love. And yourselves. Obviously. And no matter if you’re goofy and gorgeous or sleek and GQ, you can rest assured, we’ve got you. Now, there’s just one question left: Are you ready to look great, feel confident and love your photos for years to come?